Yes the title reads right and yes I am still banging on about things to do with Christmas even though it's the middle of January. You can either judge me or read on. I promised myself that I would get this post up and even though it is a rant it's more of a warning about the Lush Online Boxing Day Sale. Like all lushies, I got up early after an amazing Christmas Day, grabbed my laptop and got up the lush website to wait for 9am to grab some amazing deals on some products. I know that I have way too much but if there's a sale going on then it's rude to not have a look. 9am came and nothing happened, I checked Twitter and found out that it was going to go public at 10 which I thought okay that's fine as I had nothing to do with my day except binge watch Netflix so I waited until 10 and the sale went online but everything was sold out and only some things were actually on sale which was weird. 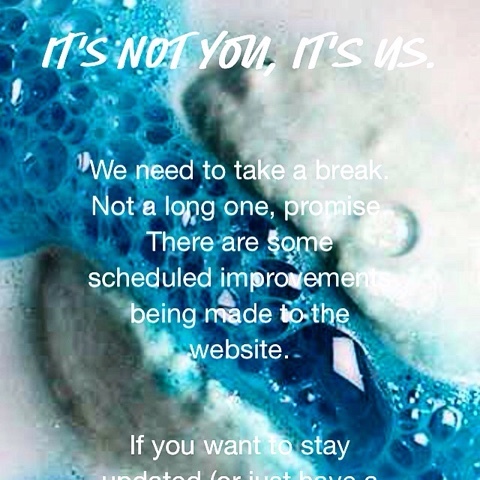 Lush said that they were sorting it out and then ten minutes later the site came up with a message saying that they were sorting it out. I went back on about half an hour later and everything that was meant to be on sale was on sale but an error came up when you tried to get anything to the checkout. I refreshed again and a queue now came up instead of anything else. It said you had ten minutes to sort what you want out or you wouldn't be able to purchase anything. I thought okay I already know what I want so I can do this but when I got to the front of the queue there was another error. Basically everytime you tried to do anything it came up with some sort of error which I thought was to do with servers and the amount of traffic the site had on that day but I couldn't be entirely sure. It took me till 1am to finally sort what I want out and get it through to ordering. Another problem came around a few days later. As Luke paid via his PayPal, he got a message saying that Lush had refunded him some of the money and we worked out that we would only be getting three items and P&P on top as everything else was out of stock and it just made more sense to cancel the order in the end. Moral of the story: If you want to get anything off the Lush Boxing Day sale either be very prepared with the website or just skip the website and try to get to a store as soon as possible as you know that you'll be getting something. You might have to wait in a massive queue but you will have the items in your hands and not hoping that they are coming soon. I had a better chance of getting stuff in the store and if you want to find out what I got then click here. I hope that you got some great things in the Lush sale if you got anything? Have you checked out the new Valentines Day range? Let me know in the comments down below. I hope that you have enjoyed this DOAML blog post and I hope to see you next time for another post!